Feuding faery lords, missing whisky, magic carpets, firestones and ancient spells in the middle of Edinburgh. "Well, I didn't ask to be a pigeon! . . . I wanted to be an eagle, didn't I? . . . Why couldn't we have been eagles instead of pigeons? What a life! Nothing but cooo, cooo and peck, peck, all the time." ". . . This is the High Street not the Highlands! We're no here to cause a sensation, and . . . if it weren't for your stupidity, we wouldn't be here in the first place!" Stroppy pigeons in Edinburgh's Old Town. It's not a normal part of daily life -- but things are never going to be the same again. Clara and Neil have always known the MacArthurs, the little people who live under Arthur's Seat, in Holyrood Park, but they are not quite prepared for what else is living under the hill. Feuding faery lords, missing whisky, magic carpets, firestones and ancient spells . . . where will it end? And how did it all start? 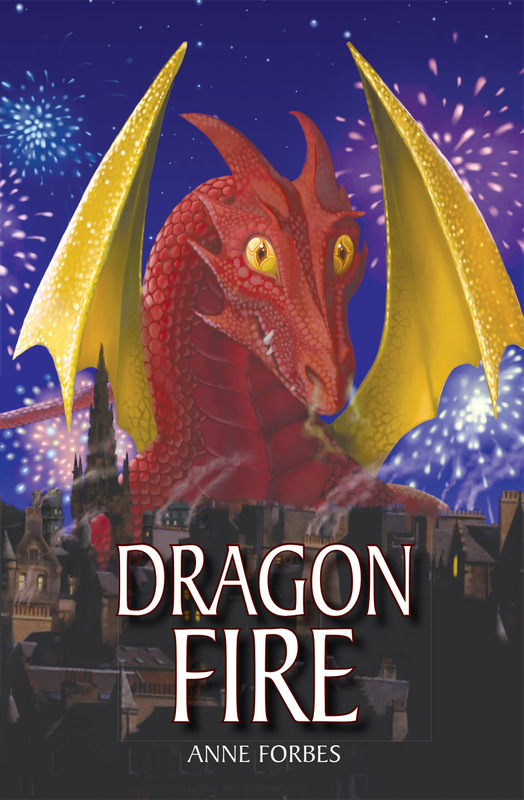 Set against the backdrop of the Edinburgh Fringe and Military Tattoo this is a fast-paced comic adventure, full of magic, mayhem and mystery -- and a dragon. Anne Forbes was born in Edinburgh and trained as a teacher. In 1966 she moved to Kuwait and worked for many years at an Anglo-American School. She is married with one daughter and now divides her time between homes in Scotland and Kuwait. 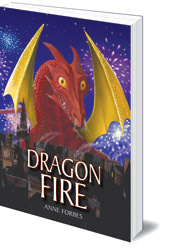 Dragonfire is her first novel.